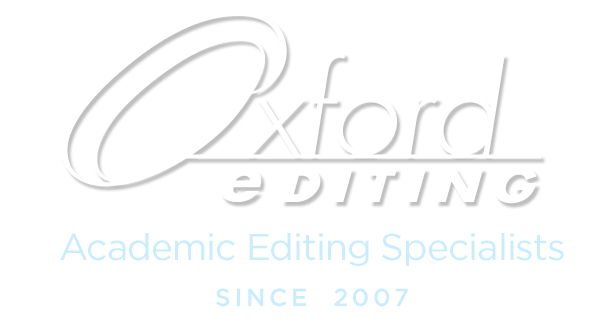 Oxford Editing specializes in academic editing. We provide professional quality editing at an affordable rate with a rapid turnaround. 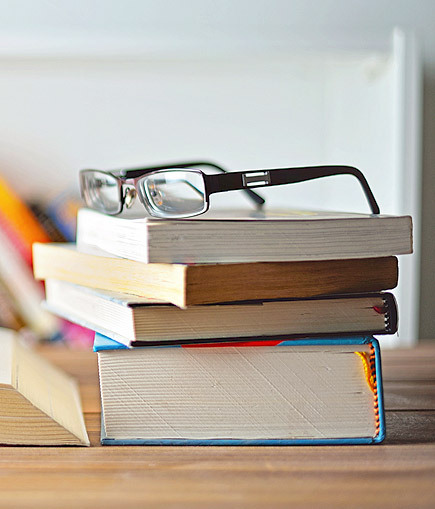 Our academic editing services include proofreading, copy editing, content or substantive editing, developmental editing, verifying correct formatting of source citations, and checking citations. Our editors are expert at editing academic journal articles, books, conference papers, and dissertations and theses. We also edit other documents, including but not limited to research grant proposals, application materials (e.g., teaching philosophy statements, research statements, letters, and CVs), textbooks, and website copy. In addition to editing English-language texts, we offer editors with native-level fluency in French. We aim to deliver first-rate, professional editing services to help our clients publish their work or receive funding. » Get full details on what we edit. We strive to personalize our academic editing services so as to surpass common expectations. Your editor serves as your advocate, working deeply, intelligently, and precisely to ensure that your manuscript is flawless. We carefully vet our professional editors, most of whom are full-time academic writing and language specialists. Some editors have doctorate or master’s degrees and are still active in their fields, conducting research or teaching, while others are retired from successful academic careers. Our editors have published in medical journals; served as editors of medical and law journals; written, edited, or translated articles or books, including textbooks; or worked as professional editors for decades. They are all native speakers of English, with most residing in the United States, although some of editors live in other countries. Our conscientious and careful editors have helped countless authors throughout the world publish their work or receive funding. 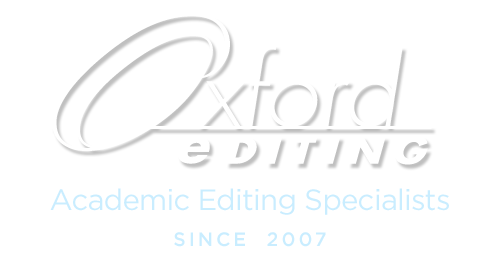 Oxford Editing’s academic editing services follow the highest publishing-industry standards. We treat your material with the utmost respect, holding your documents in the strictest confidence. We will never release any information about our clients or their work to a third party. We are happy to sign a Nondisclosure Agreement (NDA) upon request. When we receive your manuscript, we carefully note any editing instructions you provide, especially your final deadline; the journal name or stylistic guide, such as Chicago Manual of Style; and whether you require British or American English. We then identify an editor in or familiar with your field who can meet your deadline. The editor prepares a sample edit of 500 words for documents containing 5,000 words or more, or 10 percent of submissions under 5,000 words. The sample edit demonstrates how your editor would edit your paper and also allows us to calculate the cost of editing your paper based on the editing level the sample edit reveals. We offer three editing levels: a light edit, which is a line edit, or copy edit (grammar, word choice, punctuation, and formatting style); a medium edit, which may contain a higher volume of line edits and some substantive edits, such as analysis of and proposed solutions for structural problems; and a heavy edit, which may have a higher concentration of substantive edits and/or line edits. For information on the genres and subjects we edit, please click here. To submit a document for a price quote and sample edit, please click here. For an accurate quote, please send your entire document for the sample edit. We must have the complete document to evaluate the cost. In some instances, we will evaluate a portion of a document. Please note, however, that without the entire document, we cannot provide you with a firm price quote. Please click here to send an email. To help English-as-a-Second-Language (ESL) authors, along with checking for grammar, punctuation, and word choice, your editor can analyze and explain how any ambiguous text reads and propose a revision for you to consider. » Find out more about our ESL services. We price our academic editing services based on a variety of criteria. » Find out more about our pricing. See what some of the authors we’ve worked with have to say about their experiences with our academic editing services. » Read reviews from our customers. We are delighted when documents we edited are published. We have edited papers for the following journals. » View a full list of publications. Get a quote and free sample edit by submitting your document to us now. » Get your quote and free sample edit. We edit a variety of types of genres from academic papers to dissertations to fiction. » Explore the full list of genres that we edit. Unauthorized use and/or duplication of this material without express and written permission from Oxford Editing is strictly prohibited. Excerpts and links may be used, provided that full and clear credit is given to Oxford Editing with appropriate and specific direction to the original content.